Abuja—Several months after they were withdrawn from their training school in Cyprus, 67 amnesty trainees are to undergo a fresh selection test to determine their eligibility for placement in new institutions abroad. 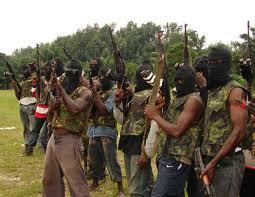 The affected Niger Delta ex-militants, who signed up for the Amnesty Programme in 2009, were sent to study various skills at Inter College, Larnaca, Cyprus, in 2011 but were withdrawn last December and asked to return home when Nigeria discovered that the school was not accredited to offer the courses it was offering to the trainees. Vanguard’s finding reveals that the Kingsley Kuku-led Presidential Amnesty Programme was misled by one of its vendors to select the Cyprus school. The trainees, it was gathered, were withdrawn when it became clear to the Amnesty Programme that the certificates to be issued to the students at the end of their programmes would not be honoured by prospective employers. The affected students have, however, become agitated since they returned to Nigeria and have asked the Amnesty Office to take steps to find appropriate training institutions for them. In a text message to our reporter, weekend, the students complained that they had been left almost stranded without any communication with the Amnesty Office since their abrupt return to the country. However, the Amnesty Office said, yesterday, that it had not abandoned the affected trainees and was working hard to source another school for them. Amnesty Head of Media and Communication, Mr. Daniel Alabra, said that the affected students would, however, be subjected to a fresh round of selection test on March 25 to determine their suitability for new schools. Alabra said: “It is true that the students were brought back when we discovered that the school was not accredited, principally to save them from avoidable problems in the future. They lamented that it was wrong for the Amnesty Office to keep them in the dark, having lost some years before they were taken to Cyprus for the aborted training programmes.